With all things being equal will increasing capacity only 300cc (7%) really going to make much difference? For sure a couple of points against the stop watch but probably not noticeable from the drivers seat. With these sort of changes, most gains come from other performance improvements applied at the same time. If these performance improvements were applied to the original 4.2 then the 4.2 would not be far behind the 4.5. If you are going to do these sort of mods which are very expensive, the performance improvements have to be substantial enough to warrant the cost. Power = CCs x revs. Humour aside though I own both 3.8 and 4.2 E's and I reckon the power difference is noticeable, and substantial, between the two. I guess my motivation in all of this is a bit puerile, but up until now I've always rebuilt engines strictly to factory spec. After finishing my current E resto (probably my last given that the supply of cars has dried up) I wanted to try something a bit different, and I love Mk2s. I have all of the other bits needed, I have access to an already pimped Mk2 with a Supra 5 speed gearbox. Last edited by abowie on Mon Sep 03, 2018 8:04 am, edited 1 time in total. Well boys, hopefully I will find out today. Might even order a set today. 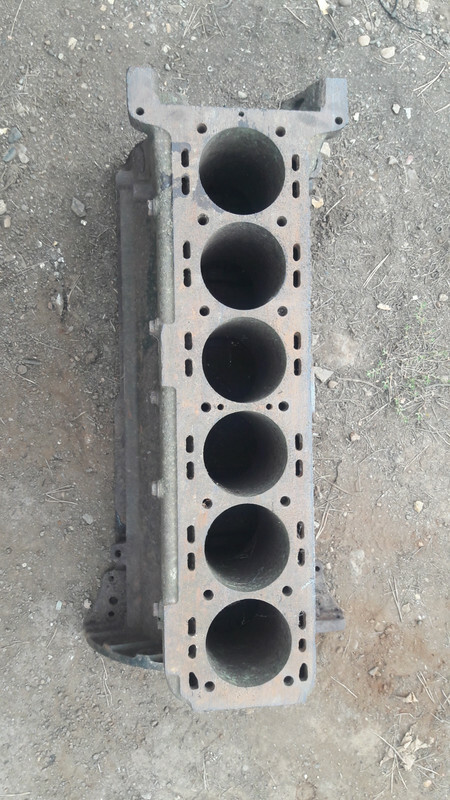 My opinion as to the strength of the long stud block is that they are strong enough when they are in good condition, however some of them do not weather as well as the short stud blocks, especially with regards to removal of the studs and water corrosion issues. I think I am lucky with the engine from 9WYO as it seems to of had a gentle life, however, until I pull it apart i will not know. With regards to the additional cost of the 4.5 liners and pistons, I suspect it is going to be somewhere around £zero when one deducts the cost of a standard set of pistons and liners! No doubt performance will be improved but the amount of improvement vs cost is not really worth it based just on the capacity increase. 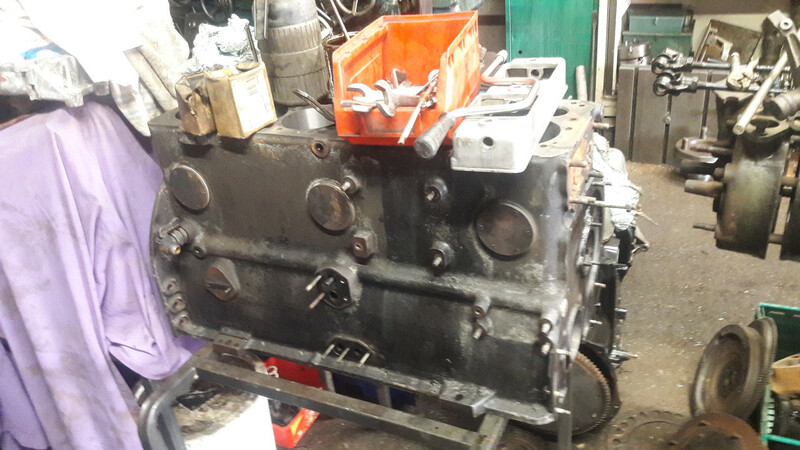 Cost of pulling the old engine down - new parts etc just not worth it - but different if you are starting with a dead engine - then certainly worth consideration. I am starting with a "fairly dead" engine. Little end knock, top end clatter, loose timing chain. Last opened up 50 years ago I would guess. It is sat in a shed waiting for its moment of glory. I am sure it would limp around between the odd car show for a few years if I wanted to do that. However I want more heroic high speed adventures. I think I would kill the poor old original motor fairly quickly if I maintained 80mph on the motorway for a few hours. It needs rebuilding anyway. The manufacturer will not divulge the dims. This is one of the strangest situations I have encountered. How, without the dimensions of the liners, can the block be adapted to fit them ? Usually an interference fit is needed. Also, without the internal bore of the liner, how can you order pistons to match ? Incidentally, Wilwood Liners will make you a liner to any dimension you want, and usually within 48 hours! Couldn't agree with you more. I reckon the engine will cost me $12k and for little more than that that I could buy a used WRX that would s#@t all over any MK2. The guys I work with made 600bhp out of a Jag V12. I'm thinking about that in an S3 as well. A man needs a hobby, after all. Well, having worked in the restoration business after I got my City and Guilds in Motor Vehicle Restoration, back in the 1990s, I can think of many reasons why companies offering restoration services would not want to divulge "trade secrets". It generally revolves around maintaining a reasonable profit margin and staying in business, which is not an easy thing these days. Business rates and employees rights make life shocking for the self employed entrepreneur. They all have my sympathy. The chap I need to talk to is away today, back tomorrow. So I might know more then. Here is the Bentley engine. I think John said that he was putting a sleeve inside a sleeve or something like that. The original bore was chromed for only the top three inches meaning the poor piston rings had to slide over the interface between chrome and steel. The solution is just to fit normal "boring" pistons and liners as a solution. I am sure someone can enlighten me as to what Bentley were thinking back then. Oh, they know the dimensions. They just dont want to publish them on-line. Hopefully I will be able to tell you tomorrow how it is done. On another subject, has anyone got a decent FHC SWB project they want to sell up £20,000-£35,000? LHD/RHD doesn't matter. A Short wheel base model 1/1.5 or Series 2. Not a 2+2. Prefer it to be in the UK as opposed to being in the USA. My friend cannot find anything that isn't bodged or rusty. Where have they all gone? Might post something on the wanted section. I've sent you a PM about a car that might suit your search. Thanks Adrian, I am looking forward to the pictures. Well, my discussions with the liner man were a bit disappointing. The liner advertised is only sold to one client. They stroke their engines as well to get capacities of 4.5 to 4.7 l.
Because liner technology has moved on, some very strong "thin wall" liners now exist that did not exist a few years ago. My liner man thought I could get away with an outer diameter of 98.5mm with and internal diameter of 95mm. 95mm gives 4.5l with the standard crank. This would be up to a reliable power output of 300bhp, which is fine by me. So I relayed all this information to my engine man. He is now looking for suitable pistons that have the same Jaguar pin/crown dimension with a domed top and a 95mm diameter. Looks like he might have found them already. So I am not giving up. I have a scrap 4.2 block which I am dropping off at Johns so he can experiment. 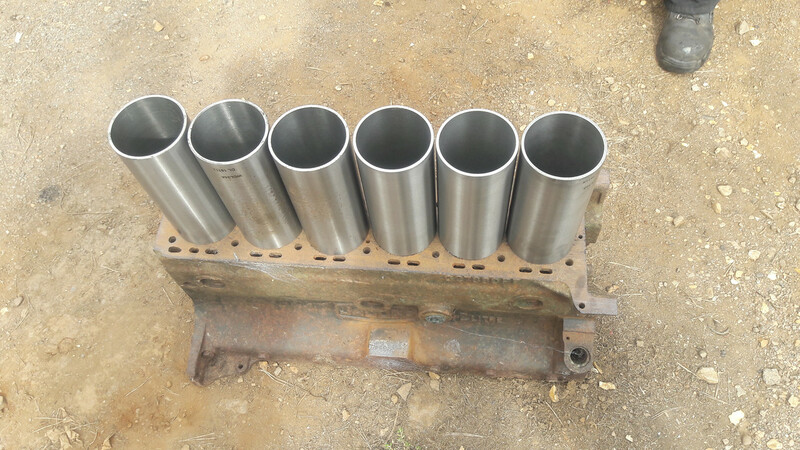 He aims to fit 6x98.5mm flanged liners in it within the restrictions of the existing bore centers, cylinder head, water jacket and crankshaft. John has all the equipment and the experience and feels confident. They may have to be scalloped in. Well I dropped off my old block at Johns. The liners dont seen to be too much of a problem with various options depending on the piston choice. 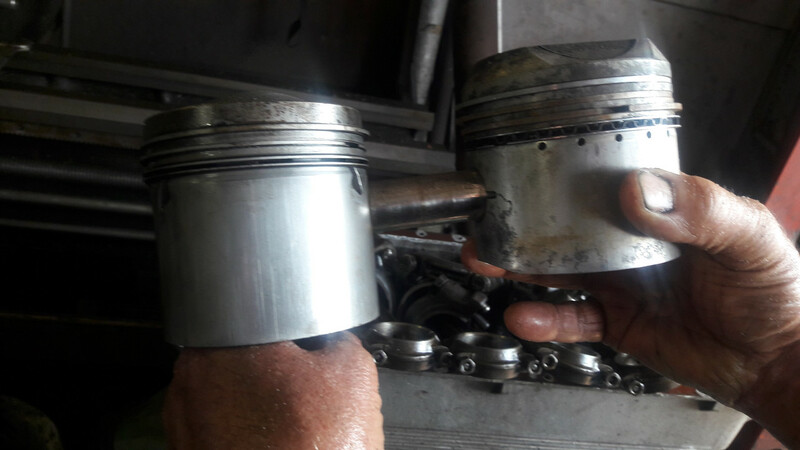 We compared some Jaguar pistons to Aston DB5 Pistons (no good) the Compression height was different. The Jag is 41.5mm from the centre of the pin to the crown. The Jag piston then has an 11mm high dome on top of that in the case of a 9:1 piston. Less of a dome for lower compression engines. If I could use flat pistons life your be easier as Mercedes used 95/96mm pistons in the 190e/Cosworth 500SLs from the 1980s/1990s. They are high quality, readily available and cheap. No dome though. They even have a 22mm pin (Jag is 22.23mm I think). I think I need the dome to get the compression up to 8-9 to one. They also have a similar compression height too. There are literally 1000's if pistons to search through. I would like a piston with a bore range of 94.5-96.5mm, A length of no more than 80mm (a bit could be removed), A dome of no more than 11mm in height and a compression height of around 41.5mm. I could maybe machine a bit off either end or a bit off a thick crown to produce the required dome. Maybe some racers have used flat pistons with a shaved head? All the flat pistons seem to come with valve recesses. We also lined up 6x99.5mm liners (OD) that were being used for something else, on the Jaguar block (below). They seemed to fit on quite nicely. Of course you cannot tell until they are centered and the crank is in situ. These would give a 4.2l a boost to over 4.5l on a standard crank. My take on the 4.7 is that I personally want the engine in a sports car to be 'revvy'. The XK with its super long stroke is heavily biased towards low speed. The intake valves are small for the cylinder size- to the point where the torque curve feels like a diesel almost. Compared to my old school BMW inline six the Xk engine feels quite 'vibratory' above 4500 rpm. Its only an 8 counter weight crank vs a 12. There are companies that do 12 CW cranks for the XK but I have no idea how much they are. The thing is- the engine is a 4.2 litre-quite big for a lightweight car like an E type. If the engine was made a little more peaky- it wouldn't necessarily feel like a dog. Porsche follow this philosophy with their 911s, their engines are pretty peaky (except the Turbo) and yet due to the lightweight car it doesn't feel it. I currently have so many projects, I'd rather focus on those than making the E type faster but its nice to think about. Im currently building a 470 cu in (7.7 litre) Dodge Big block but designing cams and porting so that it is able to rev to 7500 rpm. This will be an achievement for a pushrod motor. So I need to focus on this. "Live Fast, Live Well, Live Free!" Well Marquis, that sounds excellent. I would like a Challenger please 1971 would do. I hope you have a subscription to my heroes, David Freiburger, Mike Finnegan, Steve Dulcich, Tony De Angelo and Lucky. Motortrend is killing it at the moment and Engine Masters is superb. I was watching their stuff a lot for a while but got caught up with work recently. I need to get back into it sometime! Steve Dulcich is a strong Mopar guy! When I first moved to the USA I was really torn between getting an E type or a Challenger and then even thought about an M635CSi BMW (my dream car in London growing up). I got the Challenger. Such a different driving experience when you're used to Porsches and other precision Euro stuff. Fortunately the US has been good to me and my careers done ok such that I was able to get the M635CSi and E type later! Neither of those two will get modified though- or - If I did change the Powertrain on the E type, i'd have to be able to slot back the original drivetrain again! I have driven a Cuda in England. Our country lanes are a bit narrow to enjoy them! The E type fits them perfectly however.